The Cardiff Capital Region (CCR) has announced £38 million in funding for a new facility to make compound semiconductors, which will help drive the development of 5G, autonomous cars and robotics. Welsh first minister Carwyn Jones said it will boost Wales’ world reputation as a tech leader. It follows the Welsh government investing £12 million in the project in November 2015, which was part of an attempt to make the Newport-based foundry a global technology hub. 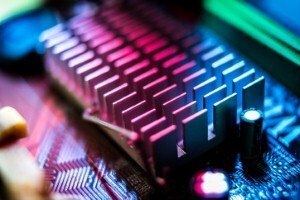 Industry experts are expecting compound semiconductors to totally revolutionise technology, and to enable a range of developments like 5G, robotics, renewable energy and driverless cars. The new funding can be seen as a sign that the Welsh and UK governments are taking the development of this new technology seriously. Cardiff-based tech company IQE has already joined with Cardiff University and the Welsh government to invest in the development of a compound semiconductor cluster in the region. According to BBC News, there are already a number of companies creating and using more traditional silicon semiconductors across south east Wales. The new funding is intended to establish a network of these firms and help them develop so Wales can become a world leader in their manufacturing as well as developing new technologies that will incorporate them. Mr Jones said: “This major investment puts Wales at the cutting edge of this exciting technology, which has the ability to change the way we live. Councillor Andrew Morgan, leader of Rhondda Cynon Taf County Borough Council, and chair of the CCR City Deal Regional Cabinet, added that the aim of these commitments is to establish a “complete compound semiconductor ecosystem” in south Wales, which will take advantage of the increasing importance of compound semiconductor technologies.